What is a three piece can? The application history of three pieces of can has been nearly 200 years. Although it has been improved many times, its basic composition is still made of three pieces of metal sheet (TIN), which is named "can body", "can bottom" and "can top". Therefore, it is named "three pieces of tin can"". The shape, size and manufacturing methods of the bottom and top lid of an ordinary three piece can be exactly the same. There are two main body seam sealing form: soldering and welding, the former used earlier, but due to the presence of lead solder, has been eliminated the potential; the latter can avoid lead pollution, low energy consumption, less material consumption, but the production of complex equipment. 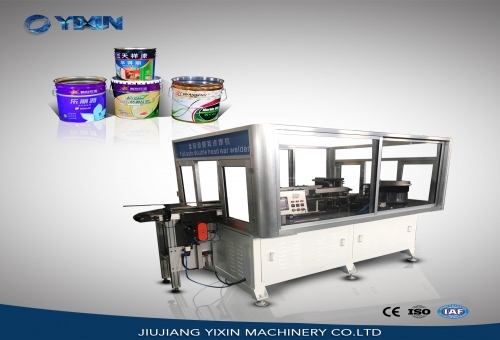 Three piece cans have good rigidity, can produce various shapes of cans, material utilization rate is high, easy to change size, mature production process, packaging products of a wide range of characteristics.